Doing more doesn’t mean selling more. If you’re like many of the clients I work with, you’re hitting the more button in a desperate attempt to get more sales. More calls, more meetings, more deals, more technology, more headcount. But the more button isn’t working, is it? In fact, the more you push it, the less you seem to sell. Deals fall through because of the high-pressure tactics your sellers use in emergency mode, loyal customers leave because they don’t experience the value they were promised in the sales process, and top talent walks out the door in total frustration. WHAT IF THERE WERE A BETTER WAY TO LEAD SALESPEOPLE? BEING GREAT AT SALES DIDN’T MAKE ME A GREAT SALES LEADER. I got my start in sales selling on-air advertising for a group of radio stations. I was the fastest account executive in my company to reach $250,000 in sales, and then the fastest to a million dollars in sales. I won contests, made lots of money, and had a ton of fun. Then it happened. I became a sales manager, and my real education began. First, I learned that the salespeople who worked for me were not me. They weren’t motivated by what motivated me. They didn’t prospect the way I did, they didn’t conduct sales calls the way I did, and they didn’t close business the way I did. In other words, I couldn’t hit my number by cloning myself. I had to learn how to lead. Second, I discovered the team didn’t trust me either. My aggressive style that succeeded in the marketplace alienated the people on my team. I had some major bridge-building to do. And, finally, I learned I didn’t know the first thing about coaching, the all-important skill for developing successful sales representatives. I talked too much and rarely listened. I hijacked calls and pressed my own agenda. I tried to be a sales superstar, ready and willing to close any deal at any time, and stunted the growth of every member of my team. I was my own worst enemy, until I found a better way: leading salespeople from the inside-out. Leading salespeople from the inside-out means starting with what motivates them (not you) and tying their sales activity into that motivation. Pressing the why button, not the more button. Leading salespeople from the inside-out happens by working alongside them as a trusted coach and and mentor. It happens by helping them learn how to sell at the highest levels of excellence (instead of doing deals for them). 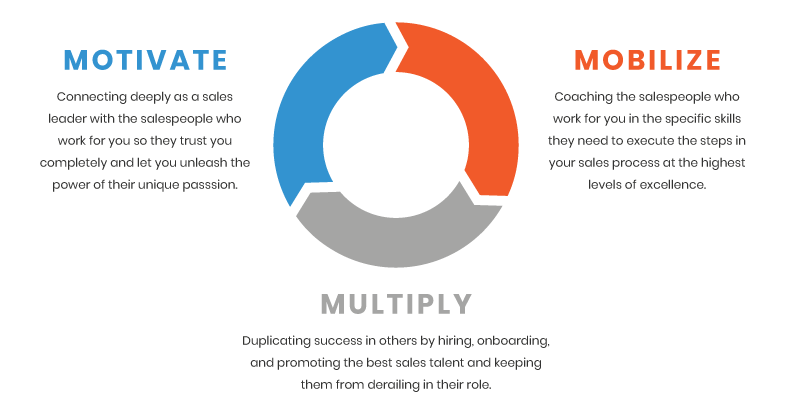 When you lead this way, you empower your team to duplicate this process over and over again throughout the organization. My education on the job paid off. As head of sales, our team nearly doubled direct sales revenue. During this time, we received national recognition from the Radio Advertising Bureau for our contribution to the field of Non-Traditional Revenue development. Eventually, I became President and General Manager of the station group, and together we achieved repeated annual growth in the face of intense competition due to deregulation of the industry. Along the way, we became a place where high performers wanted to work because of the culture we created. One by one, salespeople from other media companies joined our team, which, of course, generated even more revenue for the business. I NOW HELP SALES ORGANIZATIONS LARGE AND SMALL REACH THEIR GOALS BY SHOWING THEM HOW TO LEAD SALESPEOPLE FROM THE INSIDE OUT. Fifteen years ago, I transitioned from leading this station group to helping other sales organizations succeed in the world of sales as we had. I can do the same for you. I’ll help you understand that an outside-in approach to sales management—the more button—doesn’t work. I’ll show you that by connecting deeply with your individual salespeople, you’ll light a spark in that person’s soul that will inspire them to give 100 percent effort 100 percent of the time. I’ll teach you how to coach your salespeople to execute your sales process at the highest levels of excellence and repeat this dynamic within your sales organization over and over again. There are three ways to work with me in the implementation of the motivate, mobilize, multiply process. You can work with me one-on-one in an executive coaching engagement to help you become a more successful sales leader. You can work with me as your consultant in a sales force development project, transforming your entire sales organization. Or you can have me speak at your next sales conference or special event. The links below will give you information on each. 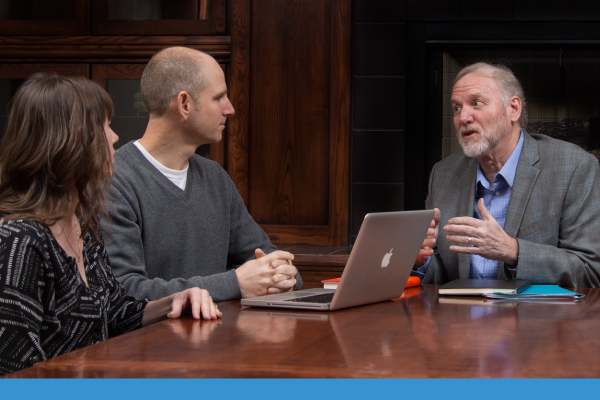 Bill Zipp equips busy sales leaders—CEO’s, heads of sales, and frontline managers—to motivate and mobilize salespeople to reach their goals and multiply that success repeatedly. He brings over 20 years of experience in sales leadership and consulting to accelerate sales in high-growth companies and agile start-ups, as well as established businesses that have hit a sales growth plateau. Bill’s sales background is in commercial radio where he was the fastest account executive in his company to reach one million dollars in sales. As head of sales, Bill’s team nearly doubled their direct sales revenue. 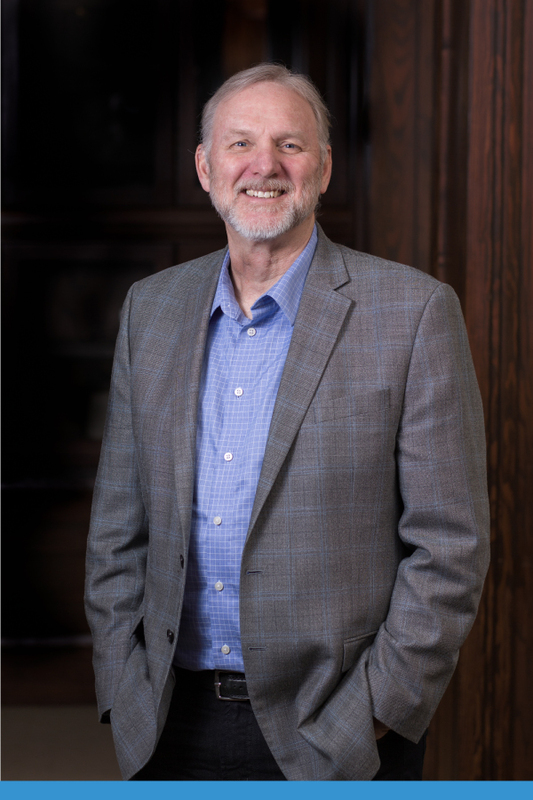 Bill has spent thousands of hours working with hundreds of sales leaders around the world, from ADP to WebEx, Cisco Systems to Concur Technologies. Many of the companies he’s worked with have experienced dramatic revenue growth, some even doubling and tripling annual sales. Bill lives in Corvallis, Oregon, home of Oregon State University and the beloved orange and black of the Oregon State Beavers. He’s married to Denise and has three amazing adult children: Beckie, Ricky, and Renee. Sign up now to receive Bill Zipp’s free audio podcast, Five Essential Steps for an Effective Sales One-on-One. Then, every few weeks, you’ll also receive the latest tips and insights on sales leadership delivered right to your inbox. Stop Working on the Weekend! How Humility Helps You Make More Sales … Yes, Humility! It’s the single-most important thing you can do to develop your salespeople: conducting consistent, productive one-on-one meetings with them. Sign up now to receive Bill Zipp’s free audio podcast, Five Essential Steps for an Effective Sales One-on-One. Sign up to now receive Bill Zipp’s free audio podcast, Five Essential Steps for an Effective Sales One-on-One.